It may not be evident, but in all honesty I love to eat. Food is a hobby for me, as I love to try new things, revisit old favorites, and enjoy unique combinations of flavors. Some of the best meals I have ever had, however, are not remembered centrally for the food, but rather for the company. Meals have this amazing potential to be beautiful times of celebration. That’s the way it was in the ancient world, and particularly what God had in mind with the Peace Offering of Leviticus 3. The Peace Offering was designed to be a celebratory meal between the people and their God. 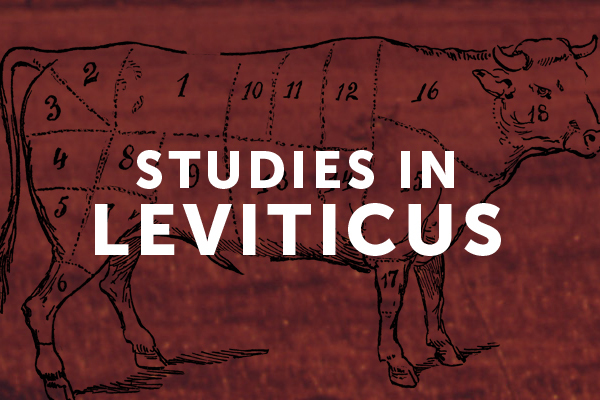 The communal aspect is more fully developed in Leviticus 7, so here we should focus on the main theme of Leviticus 3 and the idea of peace with God. Three characteristics of the sacrifice guide our understanding of it. Celebrating peace only happens if peace is established in a sacrificial and substitutionary sacrifice. Second, the offering is characterized by surrender. Like many of the other offerings, this sacrifice required surrendering the best that a worshipper had to offer. God allows for some flexibility in the type of sacrifice: bull, sheep or goat, but no substitute of bird may be granted in order to ease the economic cost for the poor. The sacrifice was meant to be costly. Derek Tidball lists two reasons for this high demand. First, it was not a mandatory sacrifice, but a voluntary offering and therefore “no-one was compelled to bring the sacrifice.” Second, A bird would not have sufficient blood and/or meat to meet the expectations of the sacrifice. This is especially true considering the communal meal aspect that is further delineated in Leviticus 7; the lack of blood and meat would have been an embarrassment to the celebration. Finally, I might add, that the cost to the worshipper is appropriate considering what they are celebrating: the peace they have attained with God. The sacrifices offered to God are always of the best, no animal with blemish or defect is ever appropriate. And here the costly animals are required because of the voluntary nature of the sacrifice. The idea is that the worshipper would be so overjoyed in celebration that he freely gives the best he has to offer. The whole sacrifice is characterized by personal surrender. God delights to commune with His people and they delight to commune with Him. The offering itself is received by God as a “pleasing aroma” (v. 5, 16). God does not need food, He doesn’t get hungry. But the sacrifice of the choice parts is pleasing to Him – He delights in it because of what it symbolizes. Christians too can rejoice in the peace with God that the sacrifice of Jesus has secured for them. We celebrate this peace every Sunday that we join together for communion. The Lord’s Supper is a communal meal that celebrates the peace we have with God because of the shed blood of His Son. Christians have peace with God. So, the apostle Paul writes to the Romans saying: Therefore, since we have been justified by faith, we have peace with God through our Lord Jesus Christ (Rom. 5:1). We rejoice in this, Paul goes on to say in verse 2. It is what we celebrate together in Communion, the death, resurrection, and eventual return of the true sacrificial lamb. And then one day we will eat this meal again, in His very presence, at the Marriage Supper of the Lamb (Rev. 19:6-9). All this eating makes me both hungry and really excited. Not just because I like food, but because you can ask for no greater company that God and His people.